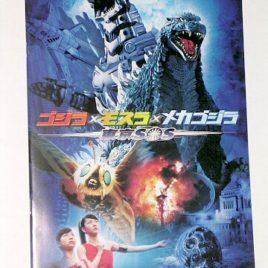 From the EXCITING Toho movie "Godzilla, Tokyo SOS" this is the "OPEN MOUTH" Mothra Larva 2004. 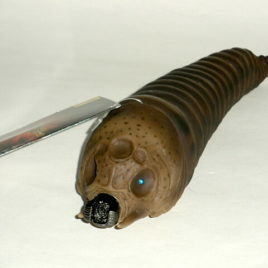 This is a very impressive soft vinyl Mothra Larva figure that measures approx. 10 inches long. The detail and coloration make this one of the best Mothra Larva figures ever made! He has blue eyes and dark spots on his head. It is now HARD TO FIND EVEN IN TOKYO! The figure is in NEAR MINT CONDITION WITH NO TAG. Scroll down for additional photos. From the EXCITING Toho movie "Godzilla, Tokyo SOS" this is the "OPEN MOUTH" Mothra Larva 2004. 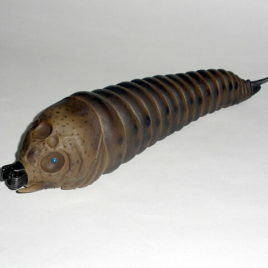 This is a very impressive soft vinyl Mothra Larva figure that measures approx. 10 inches long. The detail and coloration make this one of the best Mothra Larva figures ever made! He has blue eyes and dark spots on his head. It is now HARD TO FIND EVEN IN TOKYO! The figure is in MINT CONDITION WITH NEAR Mint Condition TAG. Tag has crease on front. Scroll down for additional photos. 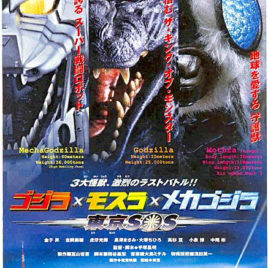 GODZILLA, MOTHRA, MECHAGODZILLA 2004 "TOKYO SOS" PHOTO STYLE TWO SHEET. GREAT ACTION POSTER. Approx. 28 3/4 by 40 1/2 inches. HARD TO FIND TWO SIDED TWO SHEET! 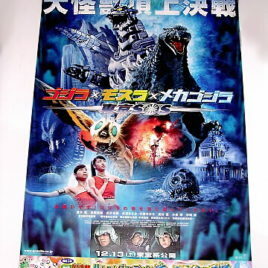 Original Theatrical Poster acquired while we lived in Japan. From Yuji Sakai Diorama set # 1. 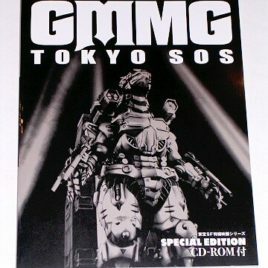 This is the 2004 Tokyo SOS Godzilla stomping his way through the rubble of TOKYO! The diorama stands about 3 inches tall and is now OUT of PRODUCTION. 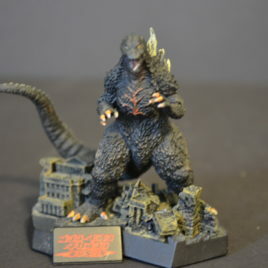 This is the MOTHRA LARVA BITING GODZILLA'S TAIL Diorama made in 2007 by CAST CO. of Japan! This highly detailed diorama is made of poly-resin. The sculpt is really amazing! The coloration and detail of this diorama is OUTSTANDING!. 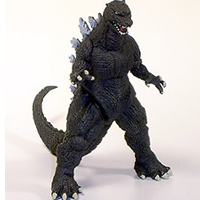 This "RED EYED" LARVA was featured in Godzilla Vs. Mechagodzilla "TOKYO SOS." Approx. 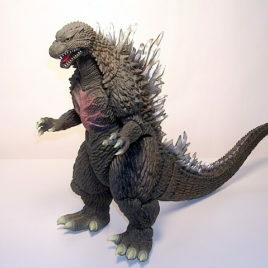 4 1/2 inches in length, the LARVA is BITING THE END OF GODZILLA'S TAIL! 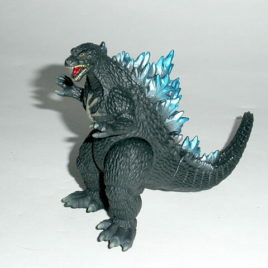 This LARVA comes with a Diorama base that has a section of GODZILLA'S TAIL for display. The entire Diorama is approx. 9 inches long. The license for Cast Co. is for "ornaments" and so the Larva has a "hanging tag" attached. COMES MINT IN BOX (opened once for taking photos). CLAWMARK TOYS WARNING: NOT FOR VERY YOUNG CHILDREN DUE TO SMALL PARTS. Scroll down to see additional photos.